Ah wow a full month has literally flown by. I must say I have definitely enjoyed this month. The start was the second week of my school holidays, and the following three weeks were (and still is) being spent in Australia! I've been blessed with some beautiful weather and some great shopping opportunities. Every morning we look out to our view which is of the gorgeous Burleigh beach and the gorgeous glistening ocean. So as you have probably guess I've been travelling, which means that these following products have either been bought with me or brought here, therefore giving the travelling stamp of approval. I'm going to kick-start this with some serious life savers. I don't know about you but when I travel I slack off with taking better care of both my hair and skin. My routines stay put but my styling doesn't. My hair is defienetly a victim of my laziness, as (this time round in particular) when I travel I slip into the habit of reaching for he hair straightener every morning. I'm strict with using heat protectant before use still, and will straighten my hair every second day (the morning after washing my hair), but my hair is still left feeling quite brittle. And that's exactly where these guys come in. 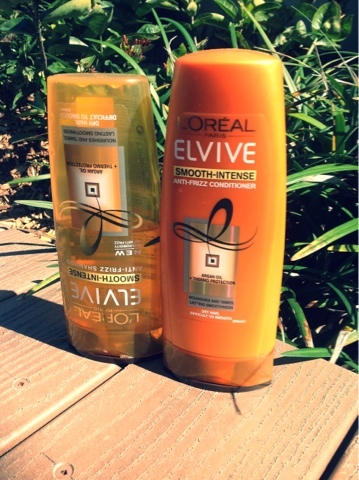 They are the L'oréal Elvive smooth-intense anti-frizz shampoo and conditioner. My hair drinks up Argan oil like I've been drinking up water during this dry month, it works wonders. Argan Oil is the main ingredient in Moroccan oil, and is great for those aiming for smoother and softer locks. The smell isn't bad either, however doesn't have a specific fragrance. 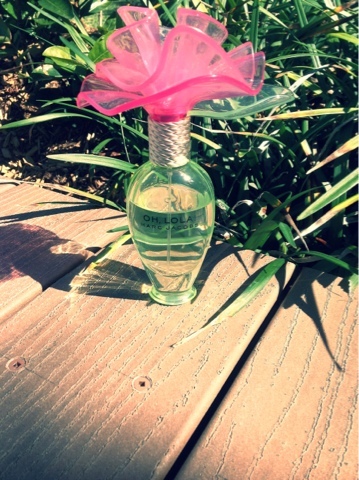 I adore this perfume. It really is a scent Ive been sniffing around for, for quite some time now. My Dad kindly gifted it to me when he was going through Singapore Airport a month and a bit a go and since then I've been using it every day I can remember to apply perfume (and that's almost every day). Imagine you're taking a step into a garden filled with a mixture of lovely fragrance flowers and fresh fruits. So that's the best I can do to describe it myself, but I recommend popping into stores and giving it a whiff to get your own opinion. I truly think its lovely, and a darling touch to any look. Plus the bottle is adorable (not travel friendly however). I'll tell you what, if you're a fan of facial scrubs, and aren't too scared of using a more abrasive one, you really should give this one a go. I highly recomend any of the scrubs from the St Ives line, as both myself and friends have been impressed with them. Since I've been back, I've discovered that their line has expanded, and you can now choose a scrub suited to a need of yours. Lets say you have acne prone and aggrivated skin and want something less abrasive. They have that, the Blemish control green tea scrub. Perfect. I have purchased the Apricot scrub before (in fact it was the first of them I bought) and had loved it, and went back to buy it again this time round. I chose the one most suited to me: the Blemish Control Apricot Scrub Helps Prevent Blackheads & Minimizes Pores. From Australia & New Zealand's #1 scrub brand, with 100% natural extracts cleans pores and helps stop breakouts before they occur. St. Ives is dedicated to bringing you the best of nature with formulas that delight your senses as they leave your skin with a soft, fresh feel. We understand that little every day choices we make help to better your life. That's why St. Ives is a formulator of quality products. I use this scrub 2 times a week, and my skin is always left feeling softer, smoother and fresher. I particularly like my "next-morning" skin, as application of make up appears more natural, and application is easier and smoother. I'll keep this rave short, sharp and to the point as I've just realised how many products I'm reviewing, and that this one doesn't need too much talking about. 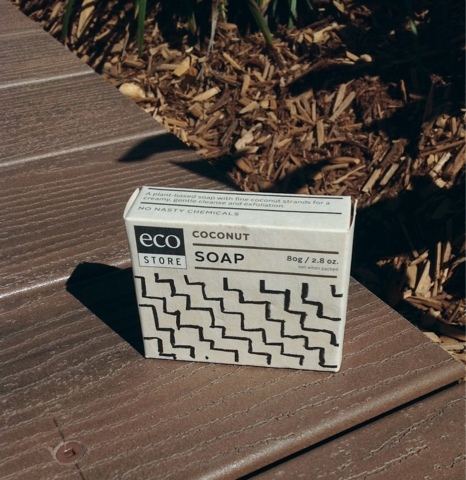 It's the Eco store's coconut soap. It's amazing. All Eco Store products are plant based I believe, thus non-aggrivating on skin. The scent is Ahmaaaaaaaazing. I Looooooooove Coconut like crazy, and buy this nearly every time I'm in Woolworths hunting for a new soap. I'm more of a shower gel and cream girl, and not so much of a fan of bar soaps, but this is one big exception. It lathers up beautifully, and leaves you're bathroom smelling awesome. The scent doesnt linger for long on you're body, but the shower experience it gives you is enough to make you love it. It's not highly moisturizing, but it doesn't claim to do that so I've got no complaints on that topic. It's slightly exfoliating also too, but that doesnt mean you can skip the exfoliating gloves, keep them on. If you don't know already, my hair is crazy dry. Probably from all the blonde jokes it recieves (yeah I know, I can't make a joke to save my life). Anyway, anything put on my hair is druken up, and that is either very good or very bad. 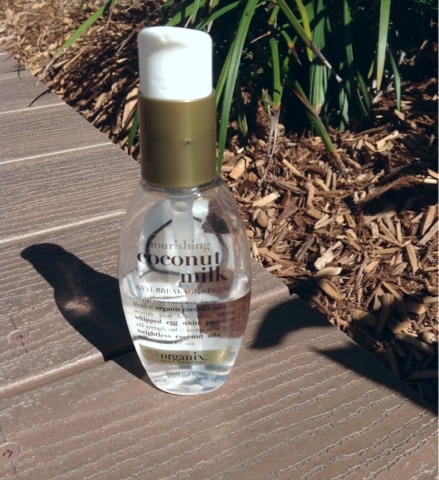 When it comes to chlorine its more of the VERY bad, but with this nourishing coconut milk anti-breakage serum from organix its VERY good. If you haven't already noticed a trend here (Morrocan Oil, this coconut serum) I kind of have a thing for yummy smelling products. This here is absolutely no exception. One of my good friends used to keep this (until she gave it to me, you'll understand why in a second) in her swimming bag. After every lesson she would apply this to her hair (duh Emily) and when it dried she was left with crazy silky smooth hair. In our following class for about 10 minutes (no exaggeration) my other friends and I would pass this back and forward and just smell it. My friend's hair is naturally quite silky and smooth, and decided that this product just felt too greasy in her hair. So she let me have it, figuring that it'd be better suited for me, and after a couple of trial and errors to figure out the right amount for my hair. On my first use I used a little too much, which resulted in what appeared to be a very greasy hair day. The scent disappears also when applied to my hair (I'm not sure what it's like on others) so that was slightly disappointing. However, saying that, I have seen an overall improvement to the health of my hair after using it for three weeks after every time I wash my hair. For my drink/food favourite this month I chose a drink I discovered about four years ago. 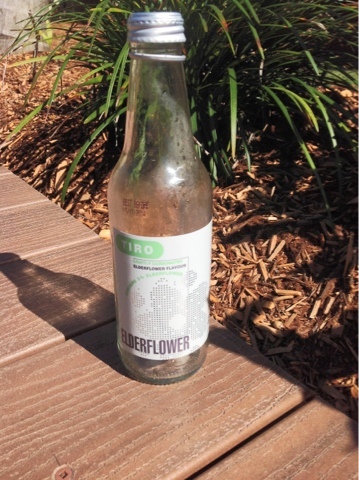 I've been a huge fan of the Tiro drinks for quite some time now, and when I decided to branch out into the line of drinks (As I always bought only the pink grapefruit flavour - that, too, is to die for) I then landed on the "Elderflower" drink, and it quickly changed to my favourite. It's an odd flavour, and considering my 11 year old self liked, says a lot. It's less sweeter than your average lemonade, and - in a way - has a slight "flowery" after taste. Now don't go buying this drink thinking you'll be tasting water that tastes like daisies or roses, because its not like that. It's taste is quite refreshing, and a nice alternative to a sugary (not saying that this isn't) soft drink. I really do recommend any of the Tiro drinks, but this one is my personal current favourite. Where to buy: Many delis across Australia stock them, as well as some cafes and restaurants. It's hard to pin it on just one shop, so I recommend keeping a close eye out for the range. I find it's they are the perfect everyday eyeshadows and complement each other nicely. I think I'll do a post showing you how I like to use them. The top pearly colour is amazing for highlighting the browbones, and a softer, more natural inner corner highlighter on the eye. The second from the top is a lovely light rosy pink colour that is beautiful by itself on the lid for a very light touch of colour, or on the center of the lid to add more dimension. The third from the top is a natural colour that I think is nice across the lid for your everyday look. 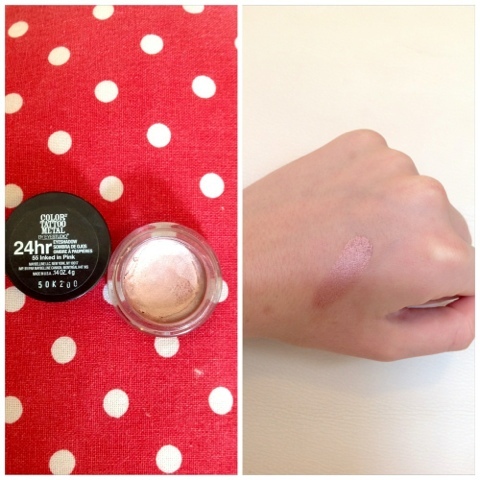 As you can tell by my swatching on my hand, its not as visible, but on the lid it helps to even out the colour, and despite what the swatch shows, it does add some colour. The final colour is a dark, plum-wine colour. It's perfect for a crease shade, or an everyday smoky eye. The colours are quite pigmented (It's something you have to be in person to see) and really nice and easy to use on a day-to-day basis. It's affordable and lasts a while, and my only downside is how easily shattered they are (but aren't most eyeshadows?) and that it is harder to find as they aren't fairly new. Where to buy: Many Chemist Warehouses, Pricelines and Big Chemists stock them. 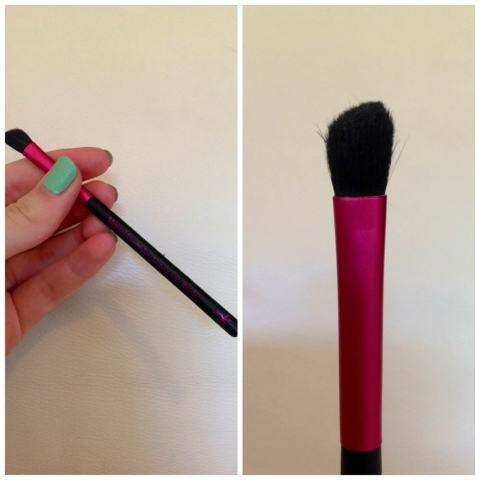 This "Mineral Eyeshadow Contouring Brush" from Australis is a brush I have been on the look out for several months now. And already after two weeks of using it, it's landed a spot in my monthly favourites. I must admit its a tad scratching feeling, so it may be replaced for a better brush in a while, but for the most of it, it's great when it comes to application. I use this to contour in my crease, and it does an amazing job to create an effortless everyday smoky eye or create depth and dimension in the eyes. I love creating depth in my crease as my eyes lack dimension (in my opinion), and having this brush has been a dream as I was stuck trying to blend with a normal eyeshadow brush (and if you've tried this before you'll understand how hard it is). So if your stuck with the same issue, I reccomend caving in and making a purchase like this one as it makes a HUGE change in your makeup. Where to buy: Anywhere that stocks Australis. I know Big W, Target, Priceline and many chemists do. You probably don't know this, but I LOOOOOOVE Maybelline's colour tattos. I've bought three before (2 bad to the bronze and 1 bold gold) and had loved them, so I decided to make a visit into target to pick up one again. I forgot the original price as I had bought the previous three in a huge sale (1 colour tattoo was $5) and was a little shocked to see the price. I think thats just me being silly, because these are worth every cent. So I made a visit into a chemist and got this on sale (Only a dollar off) and have been pleased ever since. I only realised when I got home and unpackaged it that it is in fact part of a new like: Color Tattoo Metal. This is in Inked in Pink, and I believe it will suit many skin tones. I've noticed that this one in particular is slightly more "Watery" (Which isn't the right word. Lets just say its not quite as solid as my previous three) and I'm not sure if thats because of the condition the eyeshadow was kept in, or the outcome of a new formula. I like using this as a base, and using a rosey shaded eyeshadow over the top of it to set it, with some contouring in the crease. 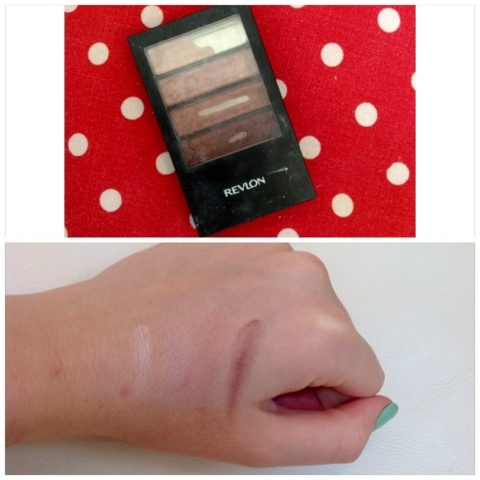 It creates an easy, everyday look, as well as keeping my shadows in place all day. I'm planning on doing a review of this lip lacquer due to how impressed i've been with it. 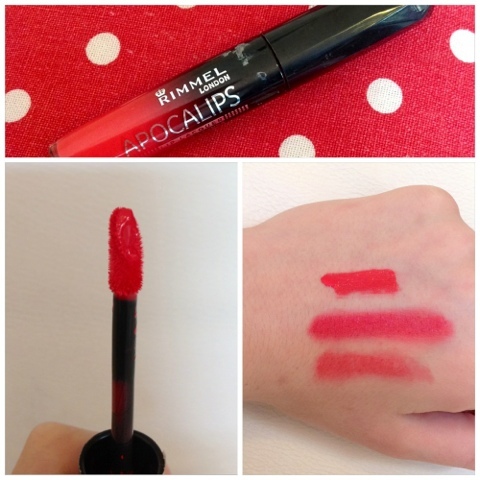 It's none other than the highly raved about "Rimmel Apocalips" lip lacquer. After I saw the amount of hype it was getting amongst the beauty community, I felt as if I had no choice other than to cave in and buy it myself. When I bought it, I'll be honest, recived quite a shock. I believe it was around $12, and I thought it was on sale. So when I reached the check out and heard that I had, in fact, gone over my budget. However I'm secretly glad I never saw the price, as I probably wouldn't have caved in and bought it, and I wouldnt be as happy. So another reason I wanted to buy this was because I felt like I had to do my own review on it, and to test it out for myself, and boy am I glad and happy with my purchase. I'm sure I will get a decent 6 months to a year use out of this, and that makes the price slightly more reasonable. Lip lacquers are kind of the child of a lipstick and lipgloss. If you're a little scared to give a liptick a go (However I wouldn't recommend beginning with this colour), or you like a glossy finish, this is the product for you. I purchased the shade 'Stellar' as I dont have a colour like this, it's not a colour I'm likely to buy and I wanted to step outside my comfort zone, and the others just didnt call out to me like this one did. The finish is amazing, and its incredible pigmented. The colour is super vibrant, and the only downside to that is if you make a mess, you cannot hide it. Finishes can vary upon application, and I'll go into a further post with a demonstration soon, but essentially if I want a glossy finish, I leave it, If I want a satin finish I dab it with my finger, and If I want a completely matte finish I'll dab it with a tissue. If I also want to subdue the colour I will dab more coarsely with the tissue depending on how much colour I want to leave. The staying power is great too, but you do need to reapply after eating. Look out for a further, in depth review on this product! I was scanning the beauty section of Target, searching for a new mascara that I could try out then review for you guys, and my eyes fell on the Clump Crusher by Covergirl. 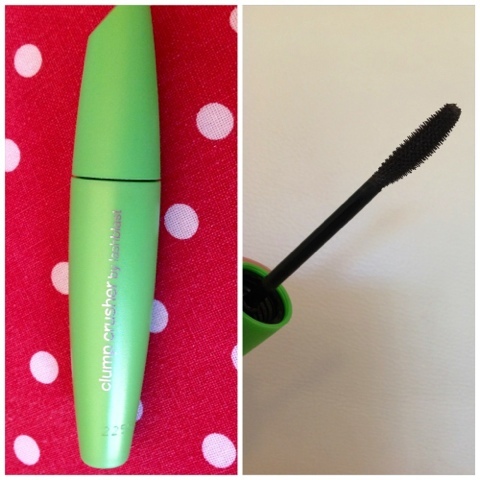 If you are looking for a mascara that is perfect for school, or you like mascaras that give you the "effortless natural look", this is the one to go to. An easy application too, as well as having a good price. I plan on doing a review on this also. 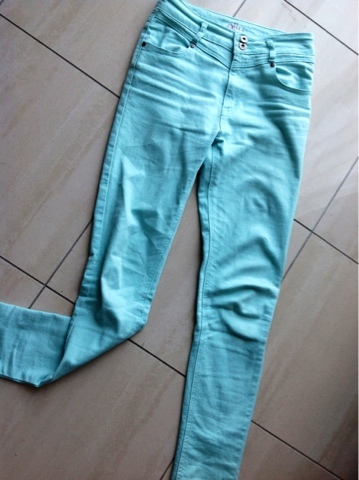 The colour that shows on the screen is incorrect (Its more of a mint green, check out my - i believe - first wishlist to see the colour. These are high wasted and from Ally. They would have fitted like a glove in my size, but they didnt have them so I bought a size up and they are a little loose and long, but I can bare it because they are comfy and a gorgeous colour. these were $35. 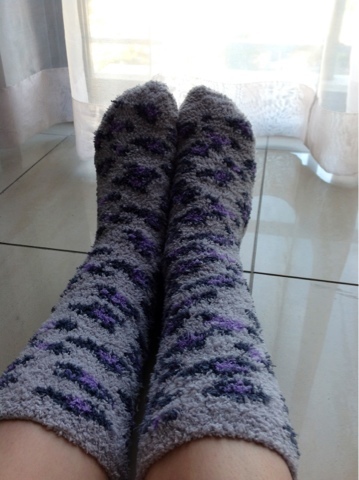 Winter = fuzzy sock wearing days. These are from Big W and came in a pack of three for only $6, bargain. Plus I love the pattern. It's winter, and I caught a nasty cold that came with a complimentary sore throat (YAY ME! not). 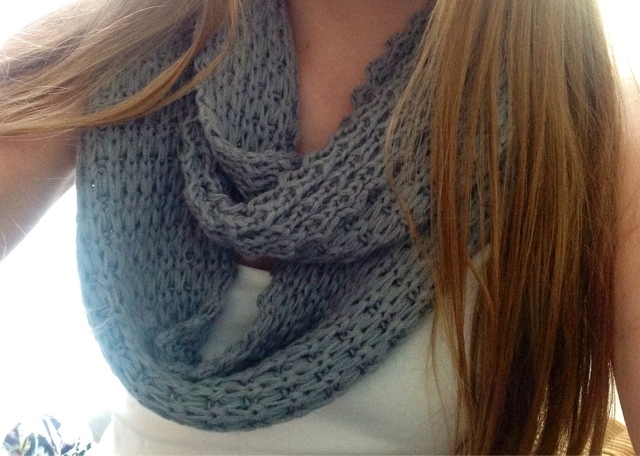 So I started sleeping with this around my neck at night to warm my throat and it saved me. So thats one reason why I loved it but I love how it's a circle scarf, a nice grey colour and how well it goes with so many outfits. I got it free in the DOLLY magazine and it claims to be from Bluejuice. But I highly doubt that. Midnight City (M83) from "Hurry up we're dreaming" - If you listened to this song and was reminded of a certain scene and character from a certain movie I love you and we need to talk. So yes, I'll admit one of the reasons I bought this song was because it reminds me of (I'll quote from a Youtube comment here) "When R got hot". That particular scene was amongst some of my favourites also (actually, every scene was my favourite to be honest) and that just makes this song even more special. I can't help but feel awesome when I listent to this song. And the good beat doesn't hurt too. 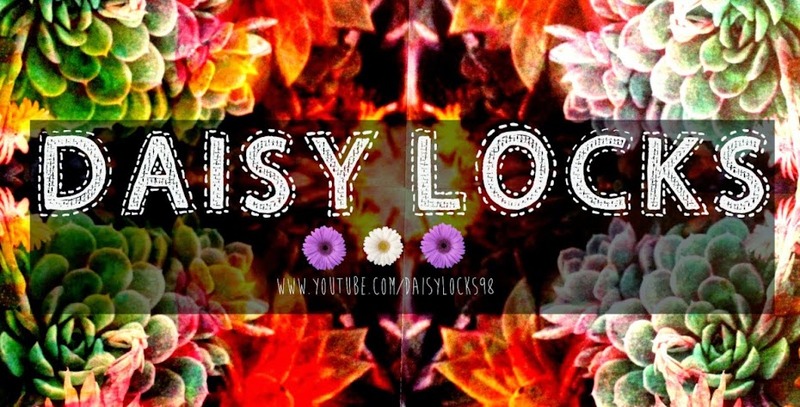 Summertime Sadness (Lana Del Rey) from "Born to Die" - If you love Lana Del Rey, comments, pronto. I can't help but love her, she truly is perfection. And even though she's had plastic surgery - my friend sadly broke the news to me - I think she's stunning. This song is admist some of my absolute favourites. It gets me into a good mood, and the beats great. Perfect for anyone in Winter/Autumn wanting a little bit of Summer in their lives. White Nights (Oh land) - This was the song my good friend Vivien put on a mix tape for me, and I fell in love with it. It's actually one of my favourite study songs, but I have absolutely no clue what she is singing about - please comment if you do because I'm confused. The music video is another very cool one to see, I love her outfits and the bedroom! Radioactive (Imagine Dragons) from "Night Visions" - I first heard this song in the trailer of "The Host" and ever since, I loved it. Again, my feelings are connected to the song through the happy thoughts from the movie (I haven't finished it but I will asap. The Host is awesome though, highly reccommend it for those who like those kind of movies!). Imagine Dragons actually only compose music for movies, to create that exact feeling, and listen to and buy their music to be reminded of their favourite movies. Its sad but good marketing! Anyone loved Perks of Being a Wallflower? Listen to It's Time (Also Imagine Dragons) or Heroes by David Bowie, see what I mean? Primadonna (Marina and the Diamonds) from "Electra Heart" - Aside from Lana, Marina (I can't remember the spelling of her actual name, its cool though! check it out via Wikipedia. And no, I'm not lazy. I just don't have internet right now) is the queen of music. This song has an awesome beat, and a song for all the Primadonnas (and everyone else) out there! AAAAAAAAAAAAAAAAAHHHHH NICHOLAS HOULT nuff said. This movie is really amazing. A movie that stays with you forever, that makes you feel good and laugh. I. Love. Pretty. Little. Liars. It's amazing, and I can't help but want to watch the following episode after finishing the one I've finished. Every episode leaves you on an epic cliff hanger and scratching your chins at mysterys you soon slap yourself for not seeing. It really is quite a clever show, and how you become attatched to the characters is a nice expererience too. 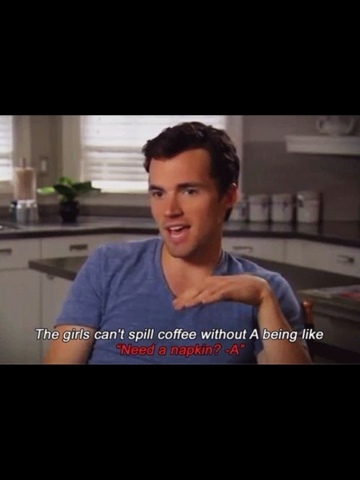 So calling all the liArs out there, who is your favourite Liar? I must admit I'm quite a fan of Sparia. TEAM SPARIA! and "Ship" wise, SPOBY all the way! I'm a huge fan of Lauren, I think she's gorgeous and super inspirational. And all you need to do to see this is have a look at my mini library of her books. As well as purchasing all her LA Candy and Fame Game books, I also bought her Style book. 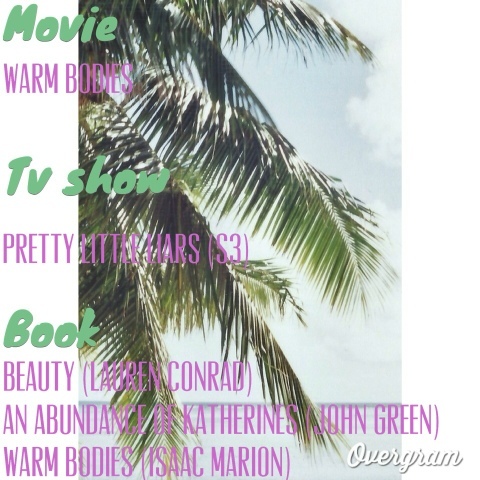 I loved it, and had wished at the time she brought out a book that discussed beauty. And my wish came true! It's a great book filled with page after page of great tips. Perfect for all beauty junkies! I love all John Green books, but yes I do agree with those who say they start slow. But I can understand why, and tolerate the slow beginnings because they do fill you in on the character's background. This one is a lot slower than his others, but I still love it. Haven't quite finished it yet though. I looooooooved this book, just as much as I loved everything else to do with it. Isaac is a very good writer, and his ideas are amazing. Highly reccommend reading this, but if you've watched the movie, keep in mind that the book will be very different from the movie (for example, R isn't unemployed in a red jacket as the movie suggests). A GREAT READ THOUGH! Ha! 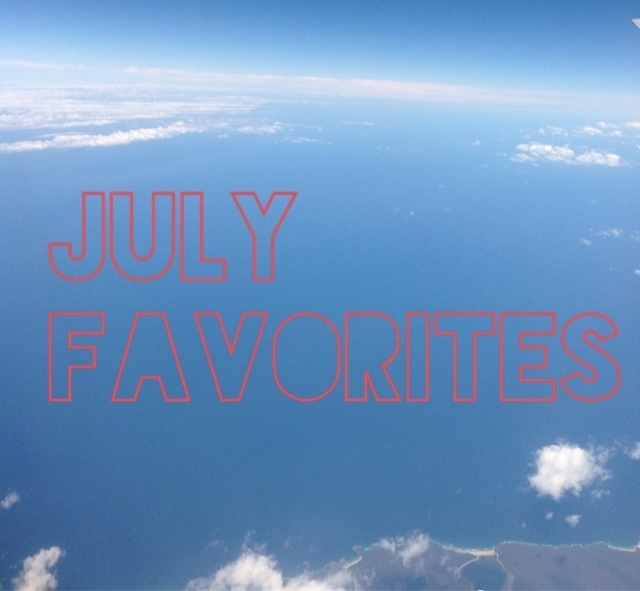 I put Radioactive as one of my July Favorites too!Then I came on your blog, and saw that you put that song too! 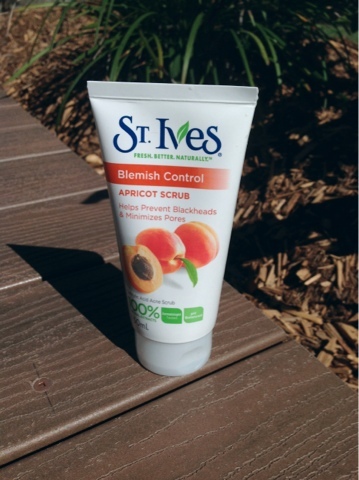 I love the St Ives Blemish Control Apricot Scrub too! It feels more abrasive than other facial scrubs, but it isnt harsh on your skin, and the results are phenomenal! I bought it a while back, and its still my favorite facial scrub. Yes, I'm a fan of abrasive scrubs, because they really do make your skin feel a whole lot cleaner and softer! But I guess it's all down to personal preferences.